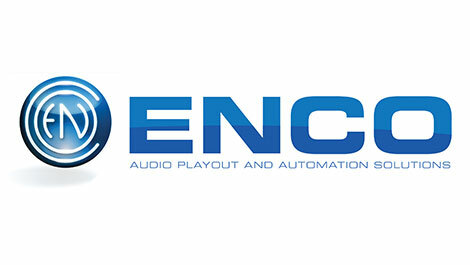 ENCO is simplifying speech-to-text conversion for the Liquidation Channel with its newly released, automated enCaption3R3 closed captioning system. The integration of enCaption3R3 into the network’s live production workflow has both accelerated and refined closed captioning processes, while minimizing the costs typically associated with closed captioning technology. The Liquidiation Channel is a 24/7 home shopping cable TV network based in Austin, Texas that reaches more than 80 million households in the U.S. and Canada. It is carried locally by Time Warner, Verizon Fios, DIRECTV, AT&T/U-Verse and other MVPDs, and streamed live on the network’s website. The program day is divided into blocks presented by one of the channel’s many hosts, who present and demonstrate the products in a spirited and animated way to drive interest and sales. Despite each host’s enthusiastic cadence, all speech is automatically converted in near-real-time to text with exceptional accuracy. While the software-defined system performs speaker-independent voice recognition in near-real- time, it doesn’t require any respeaking, pre-programming of information, or voice training of the speaker’s voice in advance to generate an accurate, high-quality caption stream. As a fully automated workflow, the process never requires manual entry by a skilled, real-time captioner or attention by an operator on-duty. During live programs, a mix-minus AES audio stream is output from a Logitech Jet Stream digital audio mixer. This mix-minus feed isolates sound picked up by the microhones minus the music, sound effects and other background noise that could hamper the speech recognition process. From there, the signal flows through a variety of audio processors to the enCaption3R3, a 1RU rack-mounted device. The enCaption3R3 sends the CEA-608/CEA-708-compliant serial data stream of the captions to the house router, which sends the video, audio and caption data to an EEG HD492 ATSC encoder. The encoder has been programmed by the Liquidation Channel to place the captions in the upper right hand corner of the screen, without interfere to adjacent on-screen text and lower- third supers. The caption stream is then embedded into the SDI video program signal and distributed for broadcast. Introduced at the 2016 NAB Show in April, enCaption3R3 uses the company’s latest enhanced speaker independent neural network based speech recognition engine to closely inspect and transcribe a program’s spoken dialogue in near real-time (typically 4-6 seconds). Mott is pleased that system maintenance and technical support is included as part of the monthly service model.